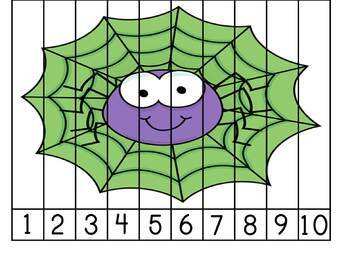 Students will cut out the puzzle and then glue it together in the correct number sequence. Good for fine motor skills and number sequence skills. A variation is to cut out and laminate the strips to use in centers, groups, or individual activities.